If you have a unique idea for a new business venture, the next step would be to get funding from an angel investor. There are many individual investors to choose from, many national and local groups of angel investors also exist. There are many websites which help entrepreneurs find an angel investors group. These websites mostly have the list categorised according to location, but there are many business angel groups that may consider investing anywhere in the country. Each angel network operates in different ways, some groups may charge a fee even before considering an application and some may charge only when an application is approved. Many angel investor groups encourage applicants to fill out an online form, while others may prefer a written fund request through direct mail. All such angel investors group have an extensive screening process to ensure their investment is legitimate and shows promise. Pitch and Business plan: Before approaching any angel investor group make sure you have a well-rehearsed pitch accompanied with a detailed business plan. It is also a good idea to provide the angel group with references from previous clients, so that investors can have an insight into the work ethics and credibility of the company founders. Insider support: Angel investors form a network to be able to pool large of funds and invest collectively in a project. Business decisions within the group are usually through member voting; therefore it is an added advantage to the business owner to have at least one ally within the group. You can read through the biographies of all the members in the network and try to earn their confidence. Business owners stand a better chance of earning capital for their project this way. Know their market: Find out in which sectors a particular network has previously invested in. Some angel investor groups prefer to stay and invest in selective industries. The choice of the angel investor group should be dependent on the overall interest of the group. How to connect with an organised business angel group? The most effective way to find an angel investor group for an entrepreneur is to seek industry specific investor groups and perform basic research before approaching them. Ask around: Ask your business associates, acquaintances, lawyers and others if they know about any accredited angel investor network where you could pitch your business idea. It increases the entrepreneur’s chances of acquiring finance from people that he may already know through family and friends. The new business owner should not only ask around but also keep an open mind since potential angel investor can be anywhere. Network with others: Join industry specific professional groups or trade groups. By attending the conferences and meetings on regular basis, you can build your acquaintance with successful people in any given field. A business owner can also grow his network by attending investor fairs and making presentations at this gathering. An entrepreneur can enquire about successful members of their industry in these gatherings. Experiences investors will also gladly give valuable advice regarding individuals who are worthy to network with. It is important to follow through any leads that have been established. Make contact with these successful industry investors, create a good impression and present your pitch to the angel group. Go online: There are numerous websites which can provide fast and effective ways for small businesses to locate investor networks. They are centralised network pools together both entrepreneurs and prospective investors. Member profiles are organised according to the industry, forums and support groups. Both parties are encouraged to register at this site so they can have opportunity to learn about each other for a possible match. Angel investors often play the role of an advisor in their invested company; they can guide the new entrepreneur in the early stages of the business. Their experience comes handy when there are diligent issues to be addressed which sometimes occur between the management and staff within the company. 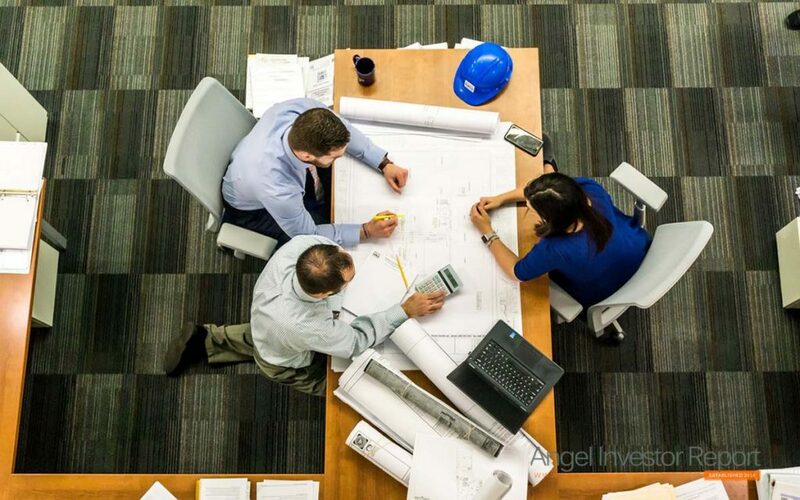 Another major advantage of obtaining finance from an angel group is that the owner gets to focus all his energies in building his business rather than being overwhelmed with monthly expenses and costs other loans require. Financial investment can also lead to a solid relationship between the investors and entrepreneurs since involvement is usually for several years. What do angel groups look for? Potential of high return: Angel investors expect more than just getting their money back, they invest in companies that promise returns higher than stock markets. A good reason: There are 3 types of angel groups economic, hedonistic and altruistic, each have their own reason for investing in a particular venture. Hedonistic angel is attracted with creating something new, whereas altruistic angel is more concerned with project which helps community at large. Tailor your pitch according to the investor you wish to attract. Good Management Team: Angel investors’ money is in the hands of people, therefore he needs to be sure that your business is in hands of knowledgeable and trustworthy people. Good business plan: Business plan should both be complete and convincing. You future vision and how you plan to get there should be clear to the investor. Opportunity for involvement: Most of the time angel investors want to act as mentors and sometimes even take an active role in managing the company. Viable exit strategy: While angel investors are patient and willing to make long term investment, they need to see how they are going to reap on their investment. Sale, merger or sale of shares are all exit strategies. Don’t be surprised if an investor demands a time-frame to be set.